We’ve all heard stories of the ‘starving artist’ struggling to make ends meet. When everyone around you keeps saying that it’s impossible to sustain yourself by making art, it is hard to keep going. Internationally recognized sculptor, Jedd Novatt, shared his strategies on how not to get trapped in common misconceptions. 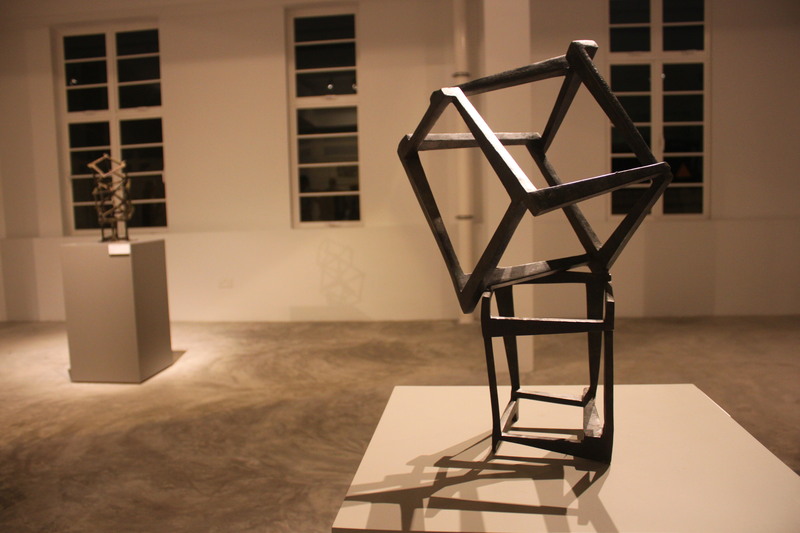 Singapore American School art students had a chance to meet Jedd Novatt at a solo exhibition of his abstract Chaos series. 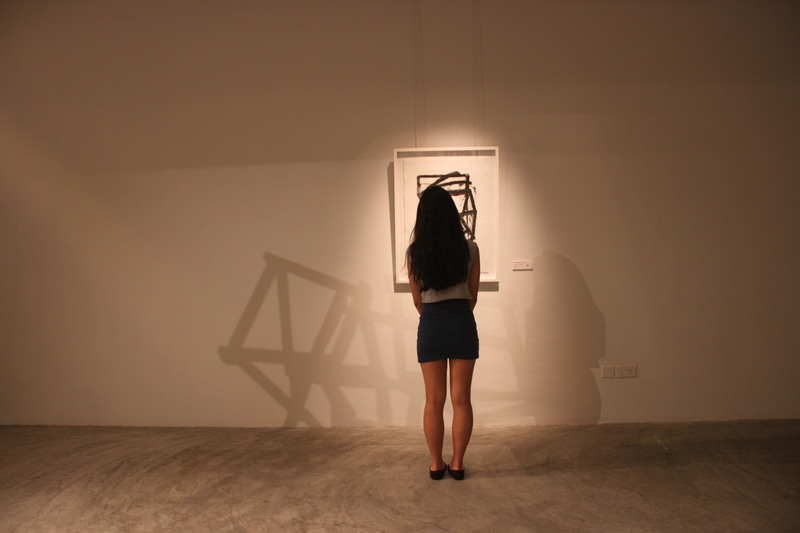 Set up in Art Plural Gallery on 38 Armenian Street, the exhibition was open exclusively for SAS staff and students. 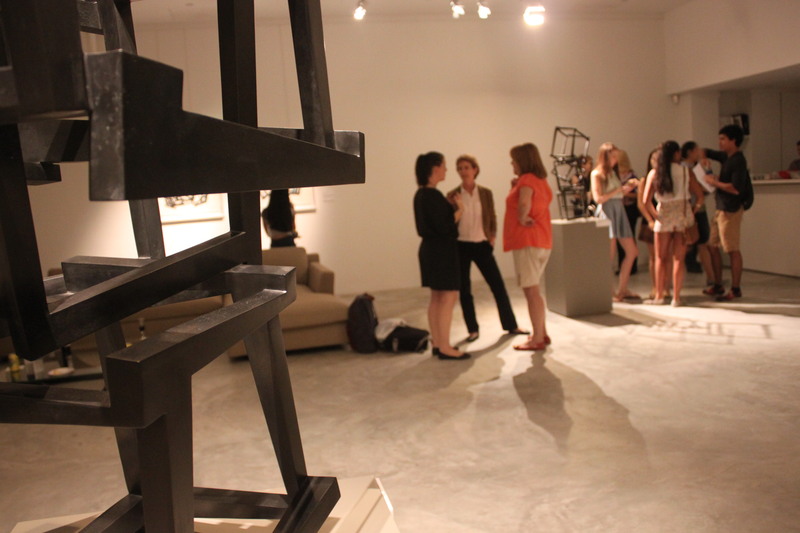 After gaining insight into the vision behind his contemporary art, students had an opportunity to ask Novatt about his work, influences, and future goals. 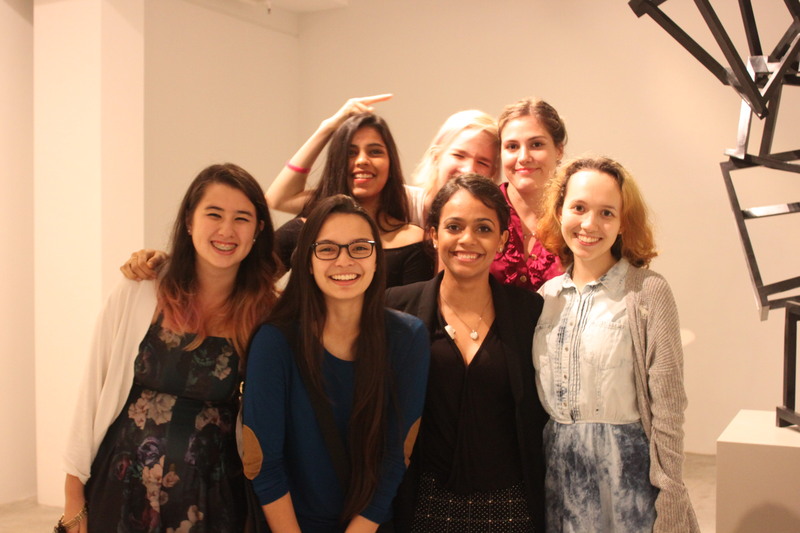 Most importantly, they received valuable advice that would help them to become successful and accomplished in today’s competitive art world. Q: How do you choose a medium to work with? A: Whether you choose painting, film, or digital design as your medium, it is important to trust yourself with this decision. I use steel for my sculptures because I like the immediacy of this material. Being able to create something rather quickly fits my personality. When I was a young artist, people used to tell me to use mixed media because it was popular back then. So I was thinking, “Why can’t I just do what I want to do?” Every artist has a natural connection to a medium that he or she uses for self-expression. What’s important is that you trust your instinct: use material to free yourself. Q: How does looking at art help you to become a better artist? A: If you go to a museum and see a painting that you don’t like, don’t ignore it. Go back and ask yourself what it is that you don’t like about it. See if you misinterpreted it or missed any details. Not only will you learn something about the painting, but also rediscover yourself. Part of our job as artists is to get out of our own way of thinking by having no prejudice against the things we don’t like. Q: How do you sustain yourself financially as an artist? A: When I first started my career, the art world was very different from what it is today. It wasn’t common to start selling art right after graduating from college. Instead, people believed that it was important to give themselves time to develop artistically. This idea was central to my experience; I let myself make a lot of mistakes before creating something that I was proud of. I didn’t make a hundred mediocre things; instead, I made one good piece. This is why when I had to wake up to this boring “I have to make money” reality, I had that one thing that would sustain me. Q: How can young people tell if they should pursue art? A: Being an artist is a career. If you choose to make art but be a doctor or a lawyer, that’s great, but personally, I’m too consumed with the next work to be able to focus on anything else. Being an artist means that you have to keep creating art no matter what. When no one is interested in your work and life gets difficult, excuses start coming up: “I stopped because I had to make a living.” I believe that people quit because they weren’t meant to continue making art. If art is really what you want to do, I promise you, you’ll find a way to do it. If it’s “sort of” what you want to do, I promise you, you’ll find an excuse to not do it. Q: Should you trust people’s opinions on your art? A: Look at art, make art, and don’t think about if it’s good or bad. “If you sell, you must be good; if you don’t sell, you must be lousy” is a common but erroneous mentality. Don’t waste time on it. 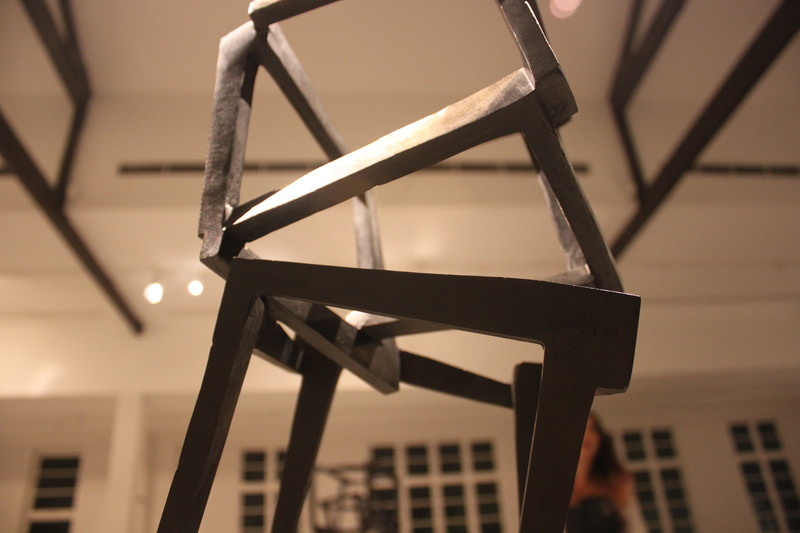 Inspired by the uniqueness of Jedd Novatt’s work, SAS students left the exhibition more knowledgeable about several controversial aspects of his career. Hopefully, students will follow Novatt’s expert advice to continue their journey towards becoming confident artists and out-of-the-box thinkers.